Book cover from “Through the Eyes of a Dancer” by Wendy Perron. 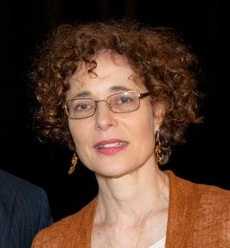 Wendy Perron has led a distinguished life as a writer, editor, choreographer and dancer, which included dancing with the seminal post-modern choreographer Trisha Brown. Now, she can add author to that list, with the publication of her collection of writings, Through the Eyes of a Dancer. Perron, editor-at-large of Dance Magazine, will be in Houston to read from her book on Dec. 5 at 6pm at Houston Ballet’s Center for Dance. She visited with Arts and Culture editor in chief Nancy Wozny about her embodied writing life. Arts + Culture: The blank page always reminds me of an empty studio. How do you see writing and dancing as connected practices? Wendy Perron: The blank page, in both writing and choreography, can be pretty scary, but more so in dance because every decision you make comes with a slew of new decisions. In the kind of writing I do, I am always working off of a performance or a thought that comes from seeing a performance. But for me they are similar in that I need time away from the studio or the keyboard for sifting and mulling over, even just before sleeping and first thing on waking up. Writing takes hold of you in a way that is similar to the way choreography takes hold of you and won’t let you go. A + C: In reading your book, I realized that you have carved a unique career in the dance field. There are not too many people who come to mind who have had substantial careers in both dancing/dance-making and in writing. Who were your mentors? WP: Deborah Jowitt was the supreme example for me. With commitment and grace, she carried on a career in teaching, performing, and choreographing while also writing. I even saw her once act in a play—and she was damn good! A + C: In the process of collecting the pieces for the book, just how daunting was it to look over several decades of your writing? WP: It was kind of fun. The key to looking back was getting a special scanner that converts any old yellowed piece of newsprint into a word document that I could edit. But there were pieces I’d written that I thought were landmarks in my work, that were sure to be included, and in the end I had to cut them. Either they weren’t focused enough or they were too vague or the writing was only good in the last two sentences. A + C: I can see your voice changing as you go. Did you meet your many writing selves in the process? WP: Yes, I was jealous of the freedom of my voice in the 70s. I hope that I regained that freedom when I started writing blogs. A + C: There was one piece in particular that I was really happy to see included—your now famous blog post called “Blogging about the Process of Choreography-Ugh!” It caused quite a stir. Dance-makers write more these days. You helped show them that they can! In thinking back about the controversy, what did you learn? WP: I learned that the younger generation of dance-makers think differently from me. I always thought of the process of choreographing to be intensely private. I also learned about social media in general and how eager everyone is to share their lives. I still use Facebook and Twitter mostly to tell people what I’ve seen, not how I feel. Although my most current blog, about the Kennedy assassination, takes a break from that. A + C: I most enjoyed the introductions to each section. It was as if the now- Wendy was meeting the then-Wendy. As it’s a collection of writings, those introductions are the glue. I have a feeling you enjoyed that process, but tell us more. WP: I really started doing them just of necessity, but my editor at Wesleyan really liked them, and that’s what made me bring more of my current life into it. A + C: Now that you have a book and a new relationship with Dance Magazine, what’s next for you, besides coming to Houston so I can drive you around to see art shows? WP: I love our art excursions! At the moment I am part of an international jury in Tokyo, judging for Youth America Grand Prix. And there will be more jury outings in 2014. Other than that, I want to do something that will help budding choreographers, but am not sure what form it will take. I used to imagine myself as the “choreography doctor” who could be called any time of night or day. I have yet to figure out how to transform that idea into something I can handle.